In Joan Collins’s third novel, Katherine Bennet is the star who has made The Skeffingtons the most watched TV soap opera in America. She has money, fame, power, but her private life is in tatters. Newly divorced, with a son threatening to go off the rails, Katherine promises herself and her public that she will never marry again. But she underestimates the sheer isolation of being as famous as she is―a woman sought out by the wrong people for the wrong reasons and avoided by all the right people. Such isolation makes a woman vulnerable―especially to the wrong man. 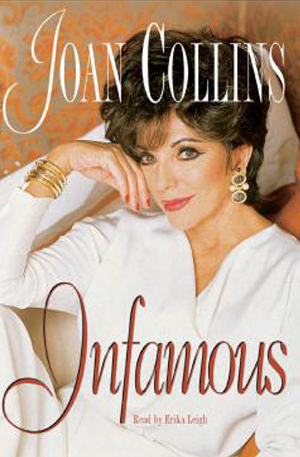 Joan Collins evokes the glamorous decade in which she emerged as a world superstar in Dynasty. This novel is an engrossing and utterly realistic portrait of what it is like to be a woman with everything the world can offer―except the one thing she wants above all: someone who truly loves the real Katherine Bennet.